How many years have you been in business and what led you to open your own small business? I just opened my store in January. I had the idea that I wanted to start making notebooks since I’m a writer. I love notebooks! I have journaled ever since I was about 5 or so. I have some sort of odd obsession with pen and paper. I like journals or notebooks with cool sayings or designs on them so that how it started. Then when I moved last summer I was cleaning out our garage and found a bunch of CD cases that we had just stashed away in a rubbermaid tub. I thought about throwing them out and then I was like, “Hey, wait what could I do with these” some of them had a lot of sentimental value attached to them and my husband and I when we got married just combined all the cd’s in a big cd book. Plus we don’t really play CD’s anymore because of Pandora and Spotify and such so the cases were just sitting around collecting dust. So, I decided to experiment and do some collage work and it actually turned out pretty decent. My husband gave me the idea that other people might like my work and so I decided to start an Etsy store. Tt seemed to be a perfect expression of myself. I love music and I love writing. So now I have my favorite artist on a notebook! Being a stay at home mom for a year a half to our son, I had been looking for a way to make some extra income and keep my mind busy. The vintage side kind of came in, in March because I always loved old junk. We have a antique market here in Kansas City that is very popular and I’ve been going for the last 5 or 6 years. I got the idea to name my store Dear Alice Company after my grandmother because she had a lot of unique and beautiful items in her house that we now call “vintage” or “antique”. 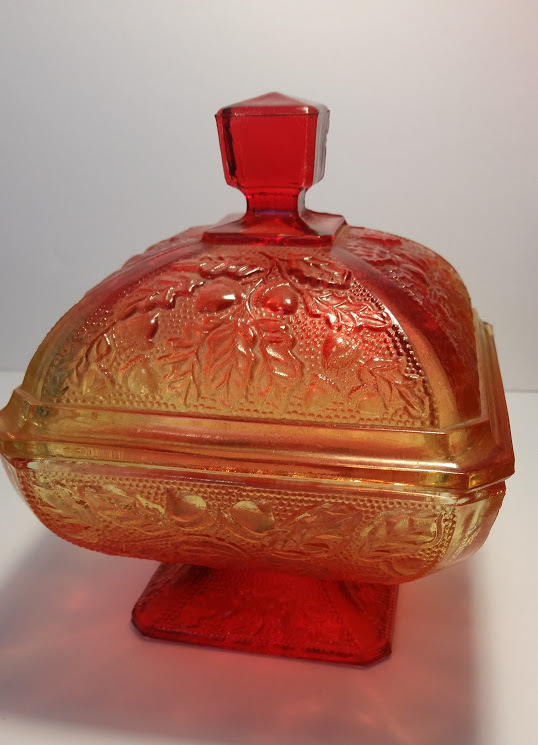 I find myself at thrift stores and antique markets saying, “Oh my goodness my grandma had this!” I have a special love for vintage items though from a child I can remember looking at the design of an item, examining the swirls in a glass bowl or the paint design on an object. It was all so fascinating to me the detail! 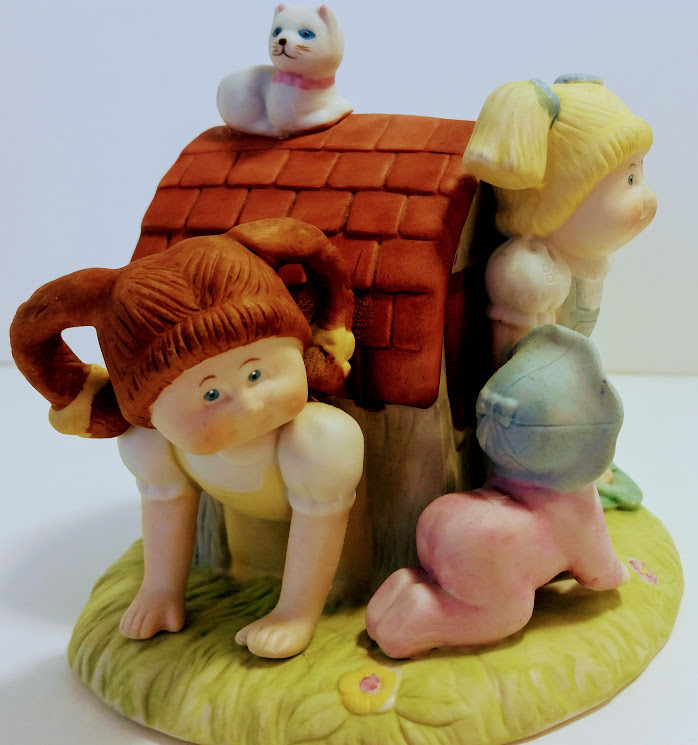 My grandmother, Alice was also a creative person. She loved to sew and write. She would send letters to loved ones in her spare time. She passed in 2005 of heart failure and I was devastated. She was a special lady, very quiet but kind and generous. She was not only my grandma but my friend. The shop is kind of a dedication to her. You have a shop on the popular shopping site, Etsy. What are some of the pros and cons about having a shop on Etsy? I had a store previously I started in 2011 called Miss Nikki’s Hairbows where I made handmade hairbows and headbands and I just really didn’t have time to promote it correctly so I’m not totally new to Etsy. I thought I’d give it another shot though because Etsy is a popular place to sell handmade goods and it’s a community of other people who do the same. I like that. I really haven’t found any cons about the site yet. I really do love it! Do you have a favorite product or project that you have worked on so far? 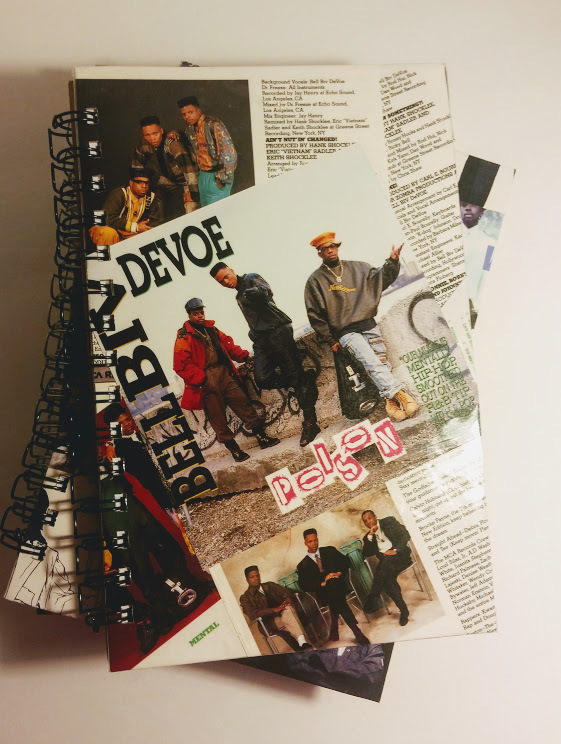 I did a Bell Biv Devoe notebook. It was one of the first notebooks I designed and posted on my shop it sold almost immediately. Where do you find inspiration for your notebook designs? It depends. Sometimes I can see how I want the cover to look in my head sometimes I look at the photography in the booklet. Where does a picture end, where does it begin. Sometimes I have to play with a design for a day or so just to get it how I want it to look. Some CD booklets don’t have a lot of photography and have a lot of just lyrics, I just like to be creative and let things fall in an odd way. What do you love most about owning your own business? I love that I can control my own schedule. I like that I don’t have someone breathing down my back. I have a 3 year old and often during the day I can’t just sit and work for hours at a time like a regular 9 to 5. I love that I can be able to create, which something I’ve always loved to do and be able to be here with my child while making a little money on the side. I also love that I get to shop and hunt for items. It never feels like work because it something I love to do already. Where do you find your vintage items? Have you always loved collecting vintage pieces? I have found most of my vintage items in local thrift stores. I hope to start hitting up estate sales and shop in other cities to give my store a bit of variety. I really just recently got into collecting vintage things in the last 5 years. I have a pretty large album collection. I’m a real big 70’s and 80’s music fan. I try to keep my work week just Monday thru Saturday. Sunday is worship and family time. However, because what I do doesn’t feel like work sometimes I do admit I can get a little carried away and work 7 days a week but I really try not to. I try to work only when my son is sleeping in the morning, napping during midday or late in the evening when my husband gets home or it’s time for bed. What was the best piece of advice that you have ever been given? Where do you see yourself and your business in one year? Three years? Five years? In a year, I see Dear Alice Company expanding and growing. 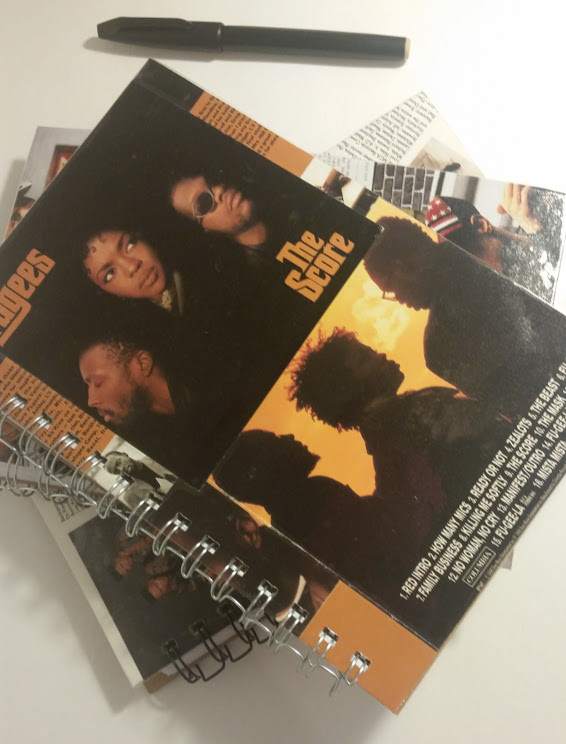 Adding more items to the shop, different artists notebooks and other unique vintage items. In three to five years my vision is to be able to travel to different states and shop for different items possibly open up my own small store.